Before you start reading, I understand iatoshaunted does the Concept Corner, so more of this in detail will be covered, but I feel that I needed to share this article with you guys as soon as possible. Plus, for Kindle readers, it's going to be an easy read. Thanks and enjoy! First, the Poke Ball, has The Eye of Wadjet on it. Pokemon is from the same mold as Yu-Gi-Oh - based on Thelema and relating ideologies. It doesn't take a stretch of the imagination to draw that almond shape about the line, over the button on the front to see the Eye of Wadjet on the Pokeball. If you compare it to The Eye of Wedjat in Yu-Gi-Oh, you see it immediately. In fact, the creators portrayed Pokeballs with eyes on the front of them in the first Pokemon Movie, Mewtwo Strikes Back. These are called Clone Balls. More on the significance of the name later. Most playable characters wear headwear with a Poke Ball logo on top of it. This is ostensibly, their "third eye". Mewto Strikes Back - The "Defeat of the Truth"
To get to the bottom of what Pokemon is all about, we have to go back in time and analyze the first movie. Now, everything about Pokemon is predicated on the fact that Pokemon is about forcably capturing creatures, throwing tournaments, and making Pokemon fight each other. Despite that, Pokemon is hell bent on passing as a "journey of self-discovery, of hope, and dreams, friendship, and the power inside". How do they manage to convince the viewer that this is what Pokemon is all about? They create a villain who does all these things, and then that villain is defeated. This is the point of the first movie. Enter Mewtwo Strikes Back. Out of hubris, scientists cloned the lovable Mew to create a Frankenstein-ish Pokemon Mewtwo. 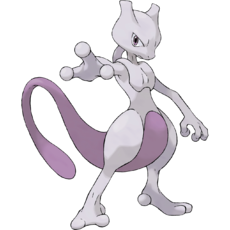 Mewtwo, angered that he was created for power, went on to forcably capture creatures, throw tournaments, and make Pokemon fight each other. In other words...Mewtwo does everything normal Pokemon trainers are expected to do. Only Mewtwo does it in a profoundly unnatural, demonized way so as to cover the potential and realistic immorality that Pokemon does and should represent. He even injures Ash. Then, as we see the Pokemon fighting, an inspirational, sad song comes on, calling for peace and brotherly love. Not even the kids of the era missed the complete contradiction of Pokemon ever preaching love and peace. Then Mew, the "original", swoops in, heals Ash, and Mewtwo flies away into self-exile with all his clones. In numerological order, Mewtwo is #150, and Mew is #151 even though Mew is supposed to have been discovered first. The reality of the matter is, symbolically, Mew is Mewtwo's clone, and that's why it comes first. When Pokemon talks about clones, it is talking about cloning Mewtwo, the original attitude of Pokemon, in order to attain Mew. Mewtwo's Clone Balls have open eyes, because they see the truth of what it is to be a Pokemon trainer. The first movie was about defeating the truth of Pokemon. It did that by characterizing the truth as a villain, Mewtwo, and then defeating it, so that that the viewer is convinced because the villain was defeated, Pokemon is no longer about forcibly capturing Pokemon, throwing tournaments and turning them against each other. After the ritual of demonizing and defeating the violence of Pokemon is over, Pokemon becomes about Mewtwo's clone, #151, Mew, the purified and clean, sterile version of Mewtwo, and hence, the purified and clean, sterile version of Pokemon. In Pokemon, Mew is often considered a fetus; it is more special than a birth: it is a rebirth. 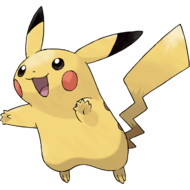 We should cover the likelihood that Pikachu has a Sig Rune, or the symbol of the Norse Father God Odin, for a tail. Odin also has a single eye, continuing with the one-eye culture that Pokemon follows. Odin is an ambivalent deity. Old Norse (Viking Age) connotations of Odin lie with "poetry, inspiration" as well as with "fury, madness and the wanderer." Odin sacrificed his eye (which eye he sacrificed is unclear) at Mímir's spring in order to gain the Wisdom of Ages. It'd be cheating to not include Abra/Kadabra/Alakazam. Most people would go the Baphomet route, saying it's a goat, and that's a good observation. The evolutionary line also invokes Thelema's "ABRAHADABRA" sacred word. Thelema loves to use inverted pentagrams and inverted septagrams (seven-pointed stars). 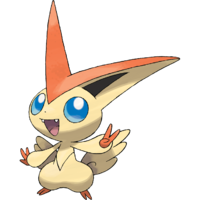 Incidentally, it's really easy to make pointed ears out of inverted pentagrams, and you see that on many other Pokemon as well. Hypno is based off of the Baku, the Japanese dream-eating tapir spirit. Pokemon follows the psychological concepts of dreams, altered states of consciousness such as hypnosis, confusion, and instincts like sexual attraction. These are characterized as Dream Eater, Hypnosis, Confusion, Attract, Captivate, etcetera. Psychological manipulation is on the table as a tactic to use in defeating your opponent in Pokemon. Pokemon 2000: The Power of One - Unearthing the "Hidden Stone"
Ho-Oh and Lugia, in HeartGold and SoulSilver are considered to represent Heart and Soul. In HeartGold and SoulSilver, we find out that both Heart and Soul had towers in Ecruteak. Then Lugia, the Soul's tower was hit by lightning; it became the Lightning Struck Tower of the Tarot. Hence, it caught on fire, and then it was cooled with rain; it was put through the tumultuous forces of thunder, fire, and water. So, Lugia, the metaphorical Soul, was forced to go live deep underwater in a cave, like the soul resides deep in oneself. This is the backstory which establishes Lugia as the unconscious arbitrator. In Pokemon 2000 the goal is to get Lugia to rise from his hidden depths of the earth to rectify the fighting between the three birds of thunder, fire, and ice. It is essentially to reverse what drove Lugia underground in the first place: the tumultuous forces of thunder, fire and ice. A Rosicrucian philosophy is Visita Interiora Terrae Rectificando Invenies Occultul Lapidem or, "Visit the interior parts of the earth; by rectification; by rectification you shall find the hidden stone." 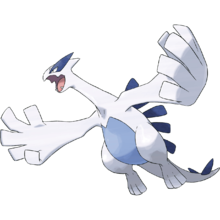 The Soul is later personified in Pokemon as the Soul Dew, a literal object - so rousing Lugia can indeed be considered obtaining a "hidden stone". By unlocking the Hidden Stone, you find the power of yourself, or the Power of One, which was exactly how the movie was marketed. 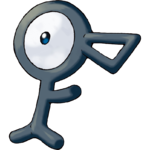 Unown is a one-eyed hieroglyphic Pokemon from another world. It can read minds, create illusions, transfer thoughts, and interfere with radio signals by communicating over radio waves. Unown is likely to be a living Eye of Wadjet, being that it is a living hieroglyphic and it is a single eye. Essentially, the Unown are the unknown; what we don't know exist, and the conditional, what could, or what we imagine to exist. 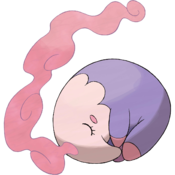 Unown is the titular character in Pokemon the Movie 3: The Spell of the Unown, where a little girl, Molly Hale, whose father was trapped in the world of the Unown uses her father's book to release swarms of Unown, who then condensate into an illusory father. Entei then kidnaps Ash's mother to be Molly's mother, and makes her an imaginary world where she is an grown-up. The joke is sort of on everybody who watches Pokemon, right about now, because Pokemon, like the Unown, is just about to create its own world for the kids watching with their eyes to imagine themselves in, and this is in plain sight. The third generation was sold as a new era of Pokemon, the advanced era, so to speak. 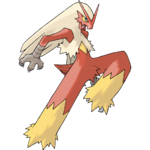 To see the basic background of this era, we'll look at one of the first Pokemon released, Blaziken. Blaziken bears a resemblance to anthropomorphic birds like Horus and Ra. This would be trivial if Blaziken did not share a prototype with Latias, the Eon Pokemon (and Latios conversely, because they have the same body structures.). Originally, Blaziken and Latias seemed to be the same Pokemon. When you imagine the two being together, we can surmise they derived from this "Aeon of Horus". Pokemon Heroes was the inaugeral movie of the third generation. Latios and Latias are both the Eon Pokemon. In Gnosticism, Aeons are progressive steps of being close to God personified in various concepts or deities manifesting from God. If we get more specific, in Thelema, Aeons are progressive eras characterized by the Egyptian deities. TheAeon of Osirus was the last Aeon. The classical and medieval Aeon of Osiris is considered to be dominated by the paternal principle and the formula of the Dying God. This Aeon was characterized by that of self-sacrifice and submission to the Father God. ...and now Thelema considers us to be in the Aeon of Horus. The modern Aeon of Horus, (...) is considered to be dominated by the principle of the child. (...) and its formula is Abrahadabra. Individuality and finding the individual's True Will are the dominant aspects; its formula is that of growth, in consciousness and love, toward self-realization. 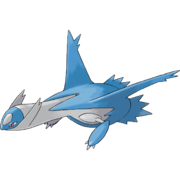 Latios and Latias are often considered to represent the Ego and Id, because of the fact that Latios has a parental relationship over the more childlike Latias. They could just as likely, or simultaneously, represent Osirus and Horus, as a Father God, and son/Sun God. Latios, the Father God, giving the humans the Soul Dew, superimposed onto the center of the Ferris Wheel, a shining sun. Thelema considers the Eon of Osirus to be about the sacrifice. In the end of Pokemon Heroes, Latios, the Ego, is captured, tortured, sacrifices himself, and leaves behind Latias. 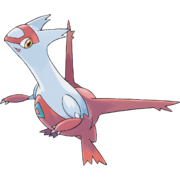 Latias is the Aeon of Horus; it is dominated by the principle of the child, and involves individuality, or synonymously, that "Power of One" talked about in Pokemon 2000. This movie started in the Aeon of Osirus, and then ushered in the Aeon of Horus. Connected with the fact that this generation was marketed as a new era and an "Advanced Generation" it simply bodes well that the purpose of the inaugeral movie of the generation actually dealt with changing Eons. Behemoth, Leviathan and Ziz were traditionally a favorite decoration motif for rabbis. After The Aeon of Horus is ushered in, Pokemon details the construction of the Pokemon World. In the third generation, is completely based on Hebrew myth. 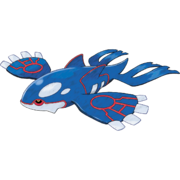 It is said that Groudon raised the earth, Kyogre filled it with water, and Rayquaza ruled the air. The RSE mascots are based off the Jewish mythological Behemoth, Leviathan, and Ziz, which are metaphorical creatures of the land, sea, and sky, and are theological companions. And then there were Golems, Registeel, Regice, and Regirock, another Jewish mythological element added to the legend list of the Third Generation. 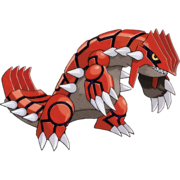 The Fourth Generation adds onto their world creation myth by introducing the Golem king, Regigigas, who pulled the continents apart. And that aptly leads us into the Fourth Generation! 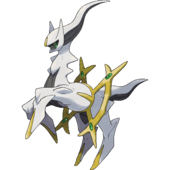 Arceus is the Pokemon that created the Pokemon universe, and the ruler of everything. In HeartGold and Soul Silver, Arceus is connected with an event that involves taking him to the Shinto Ruins (Japan) so it is apparent we are entering Shinto now. When you take Arceus to these ruins and stand him in the middle of an Alchemical Array, Unowns swarm around it, which remember, represent imagination, a Arceus and grants reality to what the Unown imagine. Kami, a concept in the Japanese religion Shinto, is the inherent spirituality of everything, all objects. Arceus, similarly, is shown in the Shinto Ruins event, to have dominion over all things macro and micro. In the Shinto Ruins event, Arceus and Unown create one of the Sinnoh Dragon Trinity for you to own. Arceus created Dialga (Time) and Palkia (Space) and Giratina (antimatter). Giratina is The Rebellion Pokemon. It is possible Arceus is partially inspired by the Hebrew God, because Giratina shares a lot of characteristics with the Hebrew devil. - Had legs, then didn't. First, Giratina debuted with legs in Diamond and Pearl. 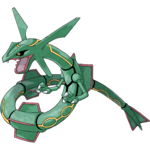 Then, when Pokemon Platinum came out, its second form was revealed, which had no legs. It was then said its second form was its Origin Forme and actually came first. But remember the relationship between Mewtwo and Mew, that Mew is symbolically Mewtwo's clone, and that's why it came after Mewtwo? The chronology is correct. When Pokemon talks about The Reverse World, they're talking about the reverse of their own canon. Giratina's Altered Forme is actually symbolically first, and it lost its legs after, just like the Christian serpent did in various accounts of Genesis. The fifth generation takes place in the region of Isshu, which means "one variety." Or in English, Unova, which is a Latin mashup of "one new unity". Or in French, Unys which means "one, united"
Or in German, Einall which means "all in one". Or in Italy, Unima which is one anima, or "one soul". Or in Chinese, Hézhòng which means "assemble the multitude". It is based off of New York, the epicenter of the United States and the headquarters of the United Nations. Unova will remind most conspiracy theorists of the New World Order. To understand Reshiram and Zekrom, and A LOT more about Black & White, we should look at the Roman myth of Saturn and Jupiter. Western civilization, which Unova is a descendant of Greco-Roman tradition. Saturn is considered to be the "Great Malefic" or the force of oppression, contraction, and crystalization in the world, while Jupiter is the "Great Benefic", or the force of expression, expansion, and growth. Saturn's element is lead, and it's color is Black. It's number is six, so it is represented by six-sided cubes, and hexagrams. In fact, there's actually a real hexgram on the planet Saturn. Look it up. "Black City" in Unova is entirely comprised of black cubes that are a dead ringer for Saturn worship. Zekrom is Saturn. It's kneecaps are hexgrams and it has hexgrams as shoulder pads, and it's completely, lead, black. Cubes, just, in general, are indicative of Saturn, because they have six sides. Also, rings and ringed planets. Cubes, rings, and ringed planets. 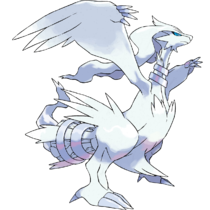 Reshiram is conversely Jupiter, the Great Benefic, the god of the sky. Now let's switch to their Greek names; Saturn is Cronus, and Jupiter is Zeus. Stay with me here. The victory goes to the one with fire. For giving humanity the gift of fire, Zeus commanded that Prometheus should be chained to a rock for an eagle to eat out his liver every day. Or in some interpretations, it's a vulture who eats his heart. Now if only Unova had an eagle or a vulture. OH WAIT IT HAS BOTH. Somebody who defies their father may be said to have a "Cronus Complex." Again - Jackpot! We have a Father and a Son, just like Saturn and Jupiter. N's father is the King of Team Plasma, Geechisu. N's Saturn symbols are indicative of his Cronus Complex, or the fact that he's Geechisu, the villain's son. Which, truly brings Pokemon back to its roots. Geechisu has open eyes on his jacket. In fact, they're the same colors as the eyes on the Clone Balls. Like Mewtwo, he is illuminated to the fact that Pokemon is about forcably capturing creatures, throwing tournaments, and make Pokemon fight each other. How does Pokemon deal with this? By casting the only one who acknowledges this as a villain. But they always show them with open eyes. In Black and White, your NPC has to go to sleep to enter the online Dream World. You can only do this with Musharna, since Hypno is more than a decade old and thus unavailable to hypnotize. Musharna is based on the dream-eating Baku just like Hypno. Musharna is essentially Hypno, with a twist; it's also an incense burner. Your character must inhale Dream Smoke from Musharna to go to the Dream World. Geechisu knows that those who have the Pokemon, have the power. So, he uses his son, N, and his Seven Sages, as platform of ethics, to preach freedom for Pokemon, in the hopes that people will free their Pokemon. He hopes this will make it so that only Team Plasma will have Pokemon. It's like gun control, pretty much. Geechisu wants your guns. Also, one of Geechisu's plots is also to kidnap a Musharna to hypnotize people to give up their Pokemon. Drugs and dreams do indeed help control people. And Geechisu uses his son N's dream, freeing Pokemon, to control him. N honestly believes the philosophy that it's moral to free Pokemon [But it's a false question, because the amorality of capturing them in the first place should have preceded the entire series!] but then he is revealed to be a naive, misanthropist shut in who prefers animals over people and the willful reduction of humanity to preserve animals - PETA. Everything about Pokemon is predicated on the fact that Pokemon is about forcably capturing creatures, throwing tournaments, and make Pokemon fight each other. Despite that, Pokemon is hell bent on passing as a "journey of self-discovery, of hope, and dreams, friendship, and the power inside". They do this by pawning off the message of Pokemon on a villain, first Mewtwo, then Geechisu and then defeating it. But they've found a whole new way to mold the beliefs of the viewer in Black and White. These games have upped the ante and used Geechisu to characterize peace as control, through gun control and mind control, and N to characterize freedom as contempt through trying to free Pokemon by attacking people. What kind of messages are these? You have to beat N, the guy who wants to free Pokemon, and then you have to beat the Geechisu, the guy who wants to enslave them. In the end, the player is left completely confused, having defeated both extremes, equatingexpression with extremism, therefore becoming apolitical and clinging to the status quo. A journey of self-discovery, indeed.